The New Year is a good time to make positive changes. Let go of what is not working. And do things that will upgrade your life to the next level. 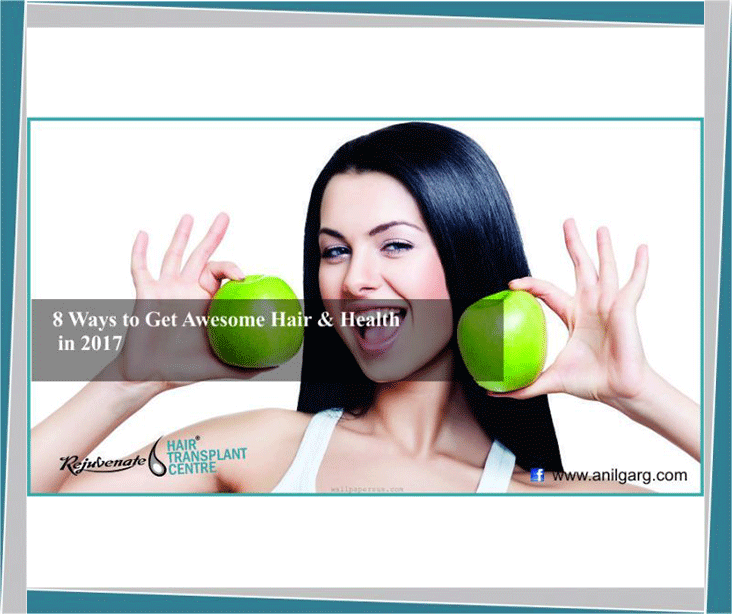 I’m going to show some ideas to make your hair and health better this New Year. You don’t have to do all of these, but pick a couple and most importantly- put them into action! There is no such thing as ‘perfect hair’. Whether your hair is too fine, too thin, thick, curly, frizzy, or damaged – let go of the struggle and simply love it the way it is. What we think and feel about our bodies have an influence on our cells, body and overall health. So when someone has a negative relationship with their body or hair, and their thoughts are those of dislike and hatred toward their appearance, it does create a negative reality. As a result, their hair appears dull and sad. And it can take a serious toll on the body and spirit. Within a few months of practice, your looks will change for good and you will radiate a beauty that will not go unnoticed. Many people ask me what is the ‘one thing’ they can do to make their hair beautiful. If you’ve been around this blog for any length of time, you will know my love for head massage. Do it at least once a week (you can use homemade amla oil or here and here are good oil blends). Harsh synthetic products not just harm our skin and hair; they go down the drain and end up in a stream, groundwater, rivers, ocean and eventually, in our tap. While your one bottle of shampoo might not be the cause of major concern. When you consider the fact that millions of people use such products, then we start to see a problem. Natural products do tend to cost more, but you can be proud of choosing the safer alternative which is good for you as well as the environment. The food you eat becomes you after a few hours. It builds your skin, hair, organs, blood, muscles, and bones. It can also affect your mood, your sleep and your concentration. So pick up some healthy eating habits this year. Don’t try to change overnight. That will be overwhelming for you and you will give up the next day. Instead, start by giving up just one thing – whether it crisps, doughnuts, biscuits, alcohol, or caffeine, start with your weak spot. Once you’ve mastered that, you’ll feel motivated to give up something else. Consider doing a kitchen detox every few months. Bin the processed foods – sugary cereals, table salt (opt for sea salt), canned meat, cakes, instant noodles, and fruit yoghurt. Fill your kitchen with real foods, such as lentils, pulses, vegetables, fruits, nuts and seeds, whole grains, live yoghurt, cheese, hummus, cold pressed oils, ghee, and good quality fish and meat. And to make your life easy, invest in good quality kitchen equipment – knives, blender, pressure cooker, grater and spiralizer. You don’t have to be perfect all the time. 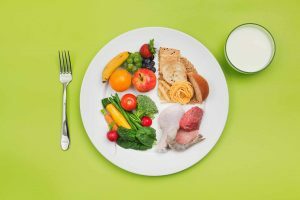 Follow the 80/20 rule – so try and eat healthy 80 percent of the time and allow yourself to indulge the other 20 percent of the time. Many people think exercise or physical activity is only about losing weight and/or building muscles, but it’s so much more than that. Exercise is about a million small perks, like better sleep, better posture, more energy, glowing skin and hair, and an overall healthy body. People who do regular activity have a lower risk of many diseases, such as heart disease, type 2 diabetes, stroke, and some cancers. Besides, research shows that exercise can boost self-confidence, as well as reduce your feelings of depression and anxiety. Sadly, exercise doesn’t come in a form of a pill and no one to do it for you. So, just get up and get moving. As a general goal, aim for 30 minutes of physical activity 3 to 4 days a week. Exercise doesn’t have to be boring. It’s, in fact, a great way to unwind, enjoy the outdoors, and have fun. Physical activity can also help you connect with family or friends in a fun social setting. So, take a dance class, learn a sport, or walk your children to and from school. Eating probiotics are the new trend these days but it contains the wisdom of generations. Probiotics are living microorganisms (both bacteria and yeast) that reside mainly in our intestine. Without them, you would have a tough time digesting the food as well as absorbing the nutrients. But digestion is only part of what these minuscule creatures accomplish. They also help power more than 50 percent of the body’s immune system. 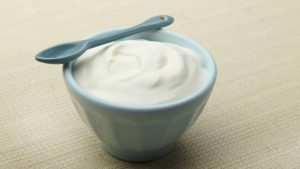 If you don’t have enough probiotics, the side effect include digestive problems, skin issues (eczema, psoriasis), candida, food intolerances and allergies, and frequent colds and flu. People all over the world understood the importance of good bacteria for good health and practised preparing fermented dishes. When buying store-bought yogurt, look for ‘live culture’ label on the tub. Other probiotics rich foods include – pickles, sauerkraut, khimchi, idli, dosa, kefir, lassi, and buttermilk. Did you know that our body contains about 100 trillion bacteria – Scoop them up and they would weigh 1 to 2 kilos. It’s a piece of advice yogis or sages have given for thousands of years: focus on your breath and relax. You will watch the stress melt away from your mind and body and all your worries will seem trivial. You will be more balanced and won’t panic in a difficult situation. Research indicates that people who meditate on a regular basis have higher cognition and heightened focus during daily life. 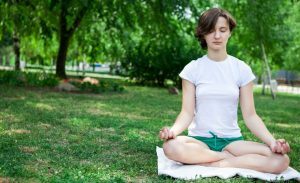 You don’t have to join a class to learn to meditate. I will help you get started. Find a quiet place. Early morning is the best, but if you can’t do it that time then anytime during the day is okay. 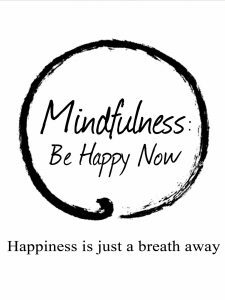 Now focus on your breath, watch it going in and out. If you are distracted that’s okay, bring your attention back to your breath. If you just can’t slow down the mental chatter, here is another method to meditate. Start with 5 minutes and you can gradually increase the time. I suggest that you set a timer so you know when to stop. Initially, when you sit with your eyes closed, 5 minutes can feel like a very long time. But it gets easier, more fun and more rewarding as you go! Having too much stuff is a formula for added stress. It takes our precious time and energy to manage the belongings. Most of the time we don’t keep things because we use them, but we’re worried that, no matter how unlikely, we might want to use them someday. Also, things that may hold sentimental value are difficult to let go of. When you buy something new (or get a gift), get rid of other similar things. For example, if you buy a shirt, donate one. If your stuff is too expensive to give away, sell it and make some money. In this way, you’ll (i) slowly have fewer possessions, and (ii) think more before buying each thing. Eventually, you’ll find that you have more space in your house and less stuff to worry about. We always postpone our happiness until tomorrow. We look at happiness as something that will come after we achieve certain thing: If I get gorgeous hair that turns heads I will be really happy. Or if I get: a nice home, a perfect partner, the dream job… I will be truly happy. But when we get these goals, instead of being happy and celebrating our achievements, we are often looking forward to being happy when we meet our next goal. Happiness is not something that will happen to us if things go well. Happiness is here, now, with things the way they are, with your hair thick or thin. Do you want to be happy now? Practice gratitude. Be grateful for what’s in your lives. It helps us to appreciate all the beautiful things we already have, and what we have received, and the people who love us or who have helped us. Spending time in nature is another great way to connect with peace and happiness. Go take a walk each day in a park or woods. Or find a water body – pond, lake, river, sea – and spend some time taking a look at it.